Historians largely credit President Truman with implementing four important, world changing, critical policies that ensured the role of US influence, for good or ill, in a post-World War II planet. The Truman administration accomplished most of these objectives in the early years of Truman’s first term. These four objectives included the establishment of the United Nations to replace the defunct League of Nations; Congressional funding of the Truman Doctrine to provide assistance to states threatened by Communism, specifically Greece and Turkey; Congressional funding of the Marshall Plan to assist Western Europe’s recovery from the economic devastation of World War II; and the establishment of NATO to defend Western Europe from potential Soviet aggression. Larry Haas makes it abundantly clear that none of these four major accomplishments could have come to fruition had not Senator Vandenberg not only provided specific support to President Truman but also rounded up enough Republican senatorial votes to ensure passage of and funding for these programs within a Republican-dominated Senate. 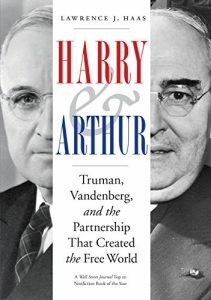 The author describes in interesting detail the discussions between Truman and Vandenberg on how to gain both Congressional and domestic support for these four political objectives, pointing out the relatively rapid creation of a program based on their agreement on the issue at hand. Of course, such agreement only occurred when Truman treated Vandenberg as an equal policy maker on foreign affairs, seeking his advice and support. Hass also explores the many times when discussion on any one of these four policies came to a halt when Truman attempted to forge ahead leaving Vandenberg behind feeling abused and ill-used by the Democratic administration. Fortunately for the Truman legacy, White House staffers eventually convinced Truman of the importance of bringing Vandenberg along at every step of the negotiations. 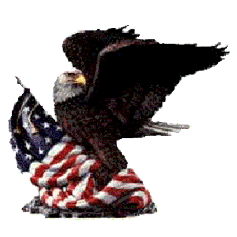 Thus credit for the final realization of US support and Congressional funding for the new UN, for the Truman doctrine, for the Marshall Plan, and for the establishment of NATO goes in large part to Arthur Vandenberg. Without strong Republican support, headed by Vandenberg, the Truman administration could not have succeeded in passing through Congress any of these four programs and the US would have, in all probability, returned to the isolationist policies of post-World War I as opposed to entering upon the post-World War II world stage as an influential world power. Larry Haas has created a well-balanced and even-handed account of the negotiations between Truman and his White House advisors and with Vandenberg and his senate staffers. His book presents a provocative, entertaining, easy to read, and yet a well-researched account of how these four seminal programs came about. For anyone interested in American political development or the role of the president and congress in creating, establishing, and passing critical legislation, this book informs better than most—highly recommend it. ABOUT THE AUTHOR: Larry Haas, a senior fellow at the American Foreign Policy Council and former communications director for Vice President Al Gore, has written often on foreign affairs for The New York Times, USA Today, the US News and World Report, and other publications. Prior to Harry & Arthur, Haas authored Running on Empty: Bush, Congress and the Policies of a Bankrupt Government (1990), The Washington Almanac (1994), and Sound the Trumpets: The United States and Human Rights Protection (2012). 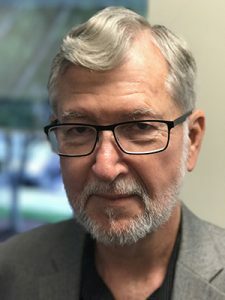 ABOUT THE REVIEWER: Dr. John M. Handley, American Diplomacy Publishers Vice-President and Professor of International Relations for Webster University’s Ft. Bragg campus, is a retired US Army Colonel. Dr. Handley spent his Army career in military intelligence, including as a Defense Attaché, as the Dean of the School of Attaché Training at the Defense Intelligence College, and as Deputy, Resource Management, for the Defense Intelligence Agency.